*Inside Luz Building on B1 floor. You have to go down 2 flights of stairs. 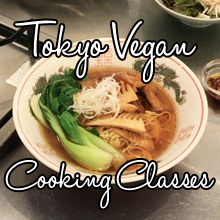 T’s is well known within the veggie world in Tokyo. They are quite successful and have 3 locations there as well as one in Sendai. I have been dying to eat at at least one of the locations for a few years now, and I finally was able to on this trip! 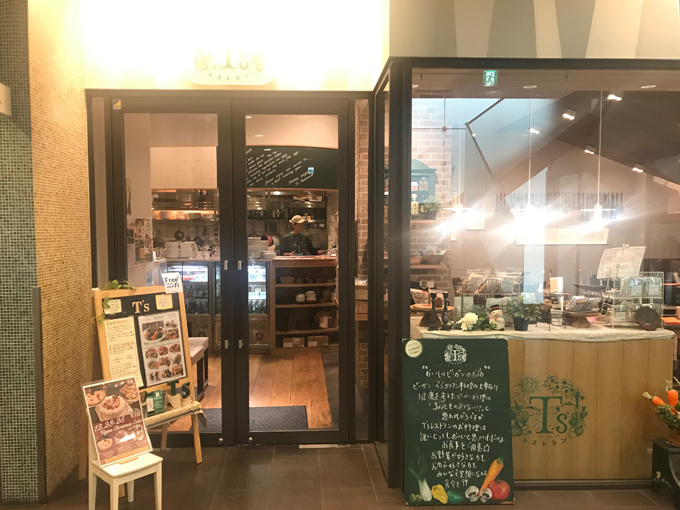 Although T’s Tantan in Tokyo and Ueno Station are probably the most convenient locations to go to for most of you, I happened to try T’s Restaurant near Jiyugaoka while visiting my best friend. This is the main location out of the four, and has a different menu than the other three. The T’s Tantans are more focused on ramen so they have various kinds of ramen, verses T’s Restaurant (this location) which has a full menu of Western and Asian dishes. T’s is famous for several dishes. One of them being their “Tantan-Men Noodles”. 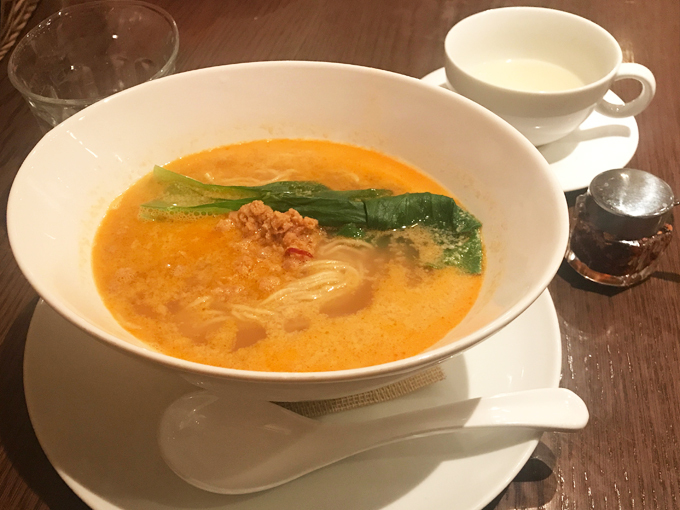 Tantan-men, also known as Dang Dang noodle soup is a ramen with a spicy and creamy tahini based broth, usually topped with sautéed ground meat. Tantan-men has been one of my favorite ramens since my carnivore days, and a good vegan version is hard to come by. That is exactly why I was dying to come here. Their signature Tantan-men took me right back to childhood. It was spicy, creamy, and delicious, just like I remembered it; with a beautiful aroma from the toasted sesame oil. They serve the Tantan-men with some chili oil if you want an extra kick! The white cup in the top right corner is a cup of their veggie broth they gave me for free. It was a very good consomme type broth. They sell packets of these too and all you have to do it add hot water. Speaking of selling, if you love their Tantan-men and don’t live in Tokyo, they do have cup-noodles! Yes, you heard me right, T’s Tantan-men cup noodles. And a hot and sour soup ramen version too. Before you leave the place, you should check out the array of T’s products on display. 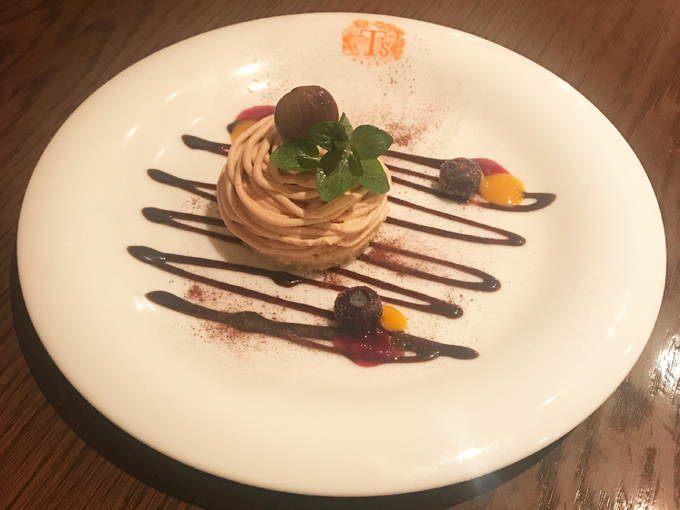 After I inhaled the Tantan-men, I ordered the Mont Blanc for dessert, (a French dessert that is quite popular in Japan during fall and winter season.) They told me it was the last one they had, so I had to have it. Chestnut cream and whipped cream, beautifully piped on top of a light sponge cake. Tasted just like a regular (non-vegan) good Mont Blanc. No wonder, it is so popular. T’s also does take-out, so I got some items to-go for my parents. Sorry, no pictures here because they all got devoured. I ordered the gyoza (pot stickers), harumaki (deep fried spring roll), Yurinchi (sweet and sour chick’n, another popular dish), and Doria (a creamy rice casserole, also popular.) Everything was delicious, and my non-veggie parents loved them too. The Doria was so creamy and delicious even cold, so I can only imagine how amazing it would have been served straight out of the oven. I’ll have to order it next time I go back there. T’s was definitely one of my favorites. Every single dish I ordered was delicious! I highly recommend trying out at least one of their 4 locations, if you are ever in the area.